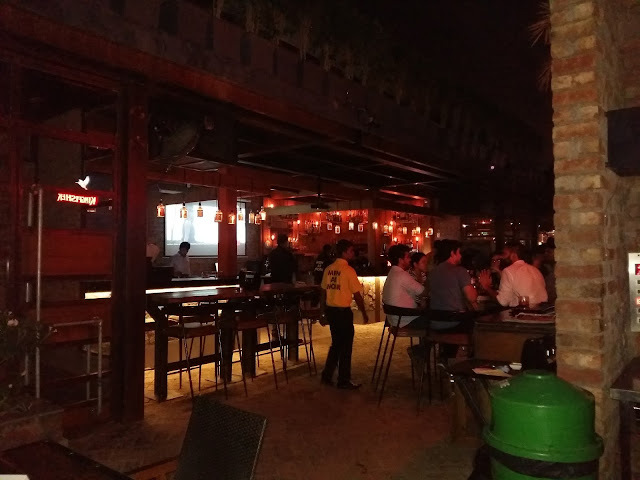 Last week was tough on office and as the end of it approached, we decided to give life a break and wind up with some good food and nice ambiance. Now most of the obvious choices for such a retreat in Gurgaon are located in one fated corner of the town - Sector 29. We were headed in the same direction too. An early end to the office, thanks to acceptance of deliverable without further edits and merciful manager acknowledging the hard work. I was home by 5 in the evening and that was when we (you know what "we" means for a married profession who has been at work entire week) decided to head for the dinner. What followed next was an obvious look at Zomato to scan through the options. After weighing in on the ambiance, ratings, pictures and reviews we finally came up with two options. 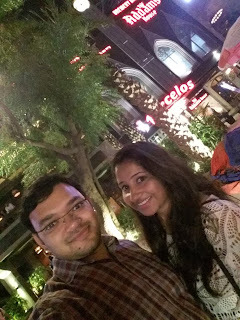 The choice was eased by availability, as Zomato could book us a table in only one of them. 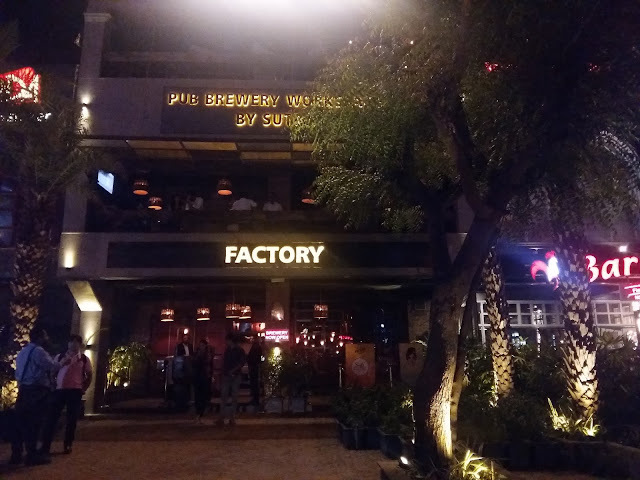 So, the destination for the evening was - Factory by Sutra. So dressed neatly and looking forward to a relaxed evening we headed towards the venue. It was about 20 minutes drive from home and soon we passed alongside the Leisure Valley Park to be welcomed by the glitter of Sector 19 restaurant complex. The good thing with our restaurant was a small parking space in the rear of the restaurant. While it may not give you as glamorous an entrance but is much more convenient, away from the usual hue and cry of congested parking. We parked by the roadside parking and entered through the "alternate" entrance. The interior has been designed as a construction site for a power plant with dummy boilers and complex pipelines spread all over the place. We had to pass through to the front entrance to access the welcome desk and enquire about our booking. We had been given a table on the terrace and we were pretty happy about it. The glass bubble elevator takes you to the terrace. The usher guided us to our table. It was a high table with bar stools which wasn't our first choice but was the only available option. We realized most of the tables for 2 had similar design and sofas were reserved for larger groups. This though was an early irritant, did not deter us from appreciating the ambiance. It was a dimly lit yet buzzing environment with a good crowd and courteous service. Interiors were designed to be rustic and rugged with unplastered bricks, lanterns, and bracket lights. The staff wore "men at work" prints to complete the construction site look. The staff also had led-illuminated name badges on them which was a different thing for me. To beat the humid warmth, ample fans mounted on walls ensured windy feel on the terrace. We started with the order and asked for mocktails and starters. The service was pretty prompt and we were surprised as generally "mocktail" customers aren't the first priority. The nachos were crispy, the salsa sourly yummy and the cheese toppings was spicy enough to content us. The mocktails were bit high on flavor but that was not something we would complain about. Next, we ordered a pizza and their special burger for the main course. Again the service was relatively quick and all the while the attendant seemed to be attentive to our calls. In fact, the service was nonobtrusive yet accessible. The thin crust pizza was nicely done and the burger was big enough for a meal. The sauces dripped flavor and warmth and the condiments added adequate charm. We ended the meal with a brownie served with chocolate sauce and vanilla ice-cream and the lingering sweetness seemed to be a perfect wrap up. They were quick to bring up the check and payment was smoother than some of the places we have been to. The staff bid us goodbye and we returned back to the warmth of our abode. It was time well spent and evening best utilized after the week of hectic activities.